Summer is here and so are mangoes in bright hues and shades of yellow..Cant have enough of it ever... and summer also brings with it appetizing cold salads and fresh juices, smoothies and milk shakes. And when you want a dose of carbs with all these fruity treats, it has to be this crunchy, crispy and buttery Vanilla Cookies. 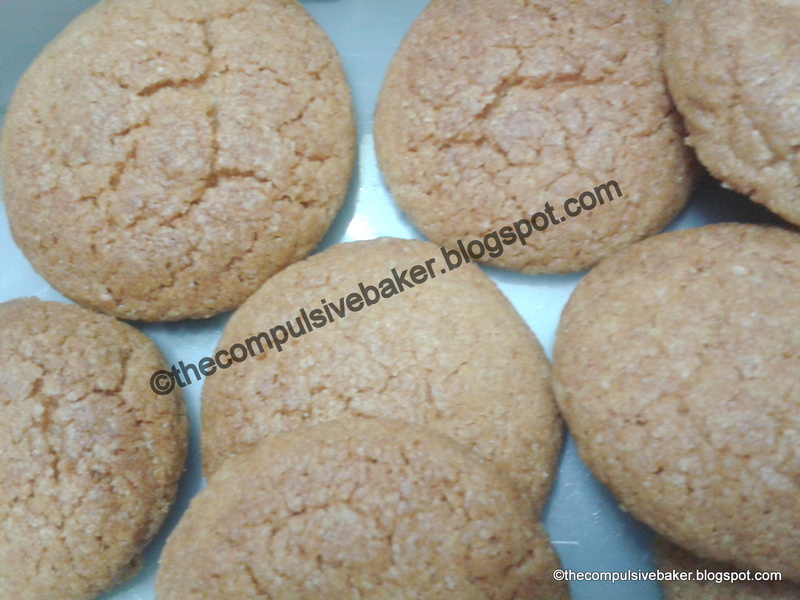 Believe me when I say that cookies are a comforting treat, whether just eaten on the go or dunked into a glass of warm milk....or coffee, as in my case...and you definitely can't stop at one...so thank heavens it comes with the goodness of Oats and Whole Wheat. 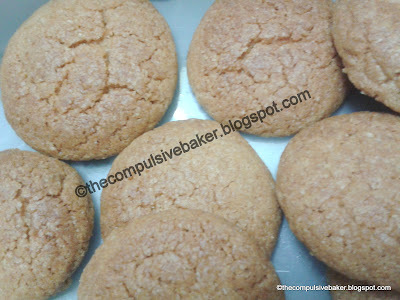 And even though its whole wheat and oats and butter, this cookie is so light but at the same time filling. Don't believe any of this?? Try it out for yourself and you will make sure your cookie jar never goes empty again. This dough can be refrigerated and baked as and when you need. It can be frozen upto two months if sealed in an airtight container. Just remember to thaw the dough till you can work with it comfortably. So next time you have someone over for tea just take the dough out of the refrigerator and treat your guests with warm cookies right out of the oven. 1 tsp Cardamom Powder for a subtle flavor. My kids do not like Cardamom so its an absolute no-no in my house, but Cardamom gives a very Indian twist to the otherwise American Cookie !! Beat the egg and the vanilla with a spoon. Don't beat air into it. Just mix with the spoon till the yellow and white and the black vanilla combines together. In you electric blender, powder together the sugar and oats to a coarse powder, about 1 minute. Add the whole wheat and baking powder ( and cardamom, if using) and blend untill all the dry ingredients are mixed well, about 30 seconds. So now you have a coarse mixture of all the dry ingredients. Take the butter in a deep mixing bowl, add the dry mixture and work the butter into the dry ingredients. Use the dough attachment of your electric mixer , if required. Add the egg-vanilla and knead it lightly into a dough. Do not over work teh dough, just bring it all together into a soft ball. It will be very sticky and messy. Don't get disheartened, because it is a good sign. Thats the way the dough should be. Cover with cling wrap and refrigerate, untill the dough firms up. It should take around one hour. You can make the dough in advance and put it in the refrigerator the previous night and bake it the next morning for breakfast...Perfect !! 9. Take the dough out of the refrigerator and make small balls ( lemon sized, not too big) and place them on the baking tray, spacing them about 2 inches apart. Do not flatten them, they will flatten as they bake. 10. Also, do not grease the baking tray, line it with baking sheet if required. 11. Put the moulded cookie dough back into the refrigerator for about 15-20 minutes for it to firm up again, because while you were handling the dough it might have lost its firmness. 12. Preheat the oven to 250 degree Celsius. 13. Bake the cookies at 180 degree Celsius for 12 -15 minutes or till the edges are golden brown and the center is still slightly soft to touch. (Soft, not uncooked). 14. Cookies must be taken out of the oven while they are still soft at the center, because they harden as they cool. Don't let them bake till they get crispy in the oven, then you will end up with rock hard frisbees !! 14. Turn them around with a flat spatula and cool on a wire rack. Store in an airtight container. Handy Tip : Cookie dough is always refrigerated before baking, because the butter in the sticky dough (at room temperature) is in melted form. Refrigeration solidifies the butter and when its put in the hot oven for baking, the butter takes time to melt down and meanwhile the basic cookie structure forms. Once the structure is formed your cookie wont ever go flat. Resist the temptation to eat straight out of the oven ! !